How to Mash Sizes for a Custom Fit! Do you have a tall skinny minny? Or a little one who needs a bigger width then their height? This is a simple easy route to mashing sizes for children to get a better fit! No more just adding to the hem!! 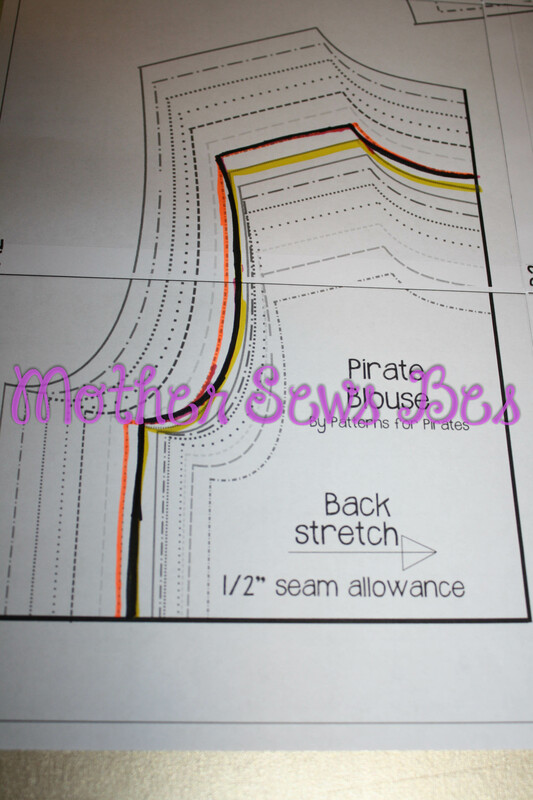 If your child needs length they need it throughout the whole garment, not just the hem! And vice versa if your child is shorter they need it shortened throughout the whole garment. So here is the quick guide. 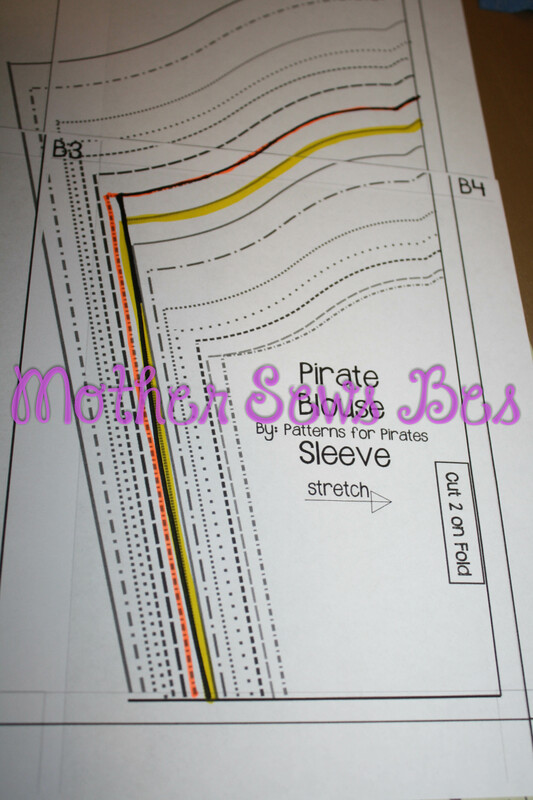 You will take their overall height and match that to the size chart of your pattern… for this example I’m going to be using my niece who is 44″ tall- which matches my size 5. Her chest and waist match a size 4. So I will be using the width of a 4 and the length of the 5 on every pattern piece! **I’m going to note in here too that going more then 2 sizes is very hard to keep the proportion and shape of the pattern. And here I drew in black to show how I followed the size 4 width overall on the piece and the size 5 length. 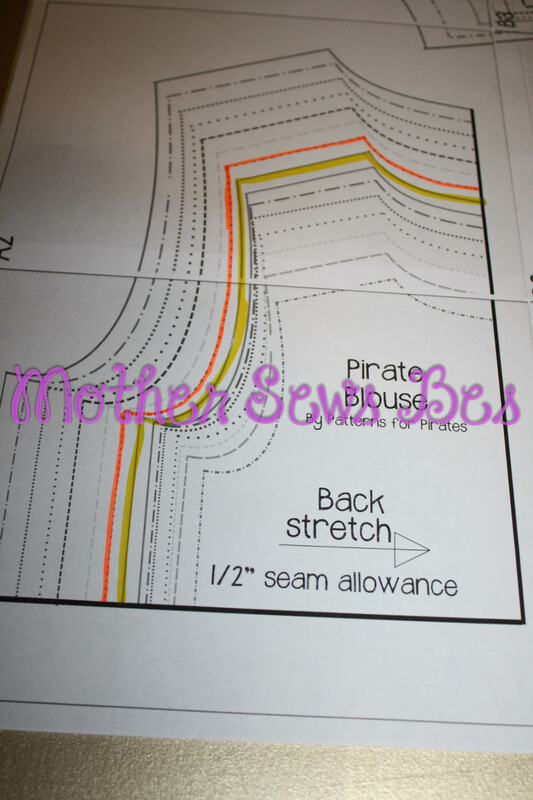 See how I made the armhole the size 5 length, and neck hole… these are places where your little ones fit will drastically improve with this method! This method can also be used with a shorter length to width— I used to do this for my little one when he was younger– he is big for age so he was in toddler sizing with a baby figure! He needed a much bigger around then his height and it worked wonderful for him! Brilliant, helpful articles! Thank you! I have a very curvy girlie shape, and I am over the moon to have somehow found P4P just this July of 2018! Thank you for designing for us hourglass figured females! I have been sewing since I was age 12 – yet P4P and this wonderful community of yours has opened up a whole new creative universe for me. Thank you so much! VERY helpful, just curious about a broad back adjustment. My daughter needs this. Everytime she reached for something her sleeves (if long) slide up above her wrists and there is a pull in the shoulders. Slash and spread at the armpit area??? Do I adjust the sleeve too in the armscye areas?? You would just need to slash and spread at the shoulders- not anything to the armsyces.